Bo Mason, his wife, Elsa, and their two boys live a transient life of poverty and despair. Drifing from town to town and from state to state, the violent, ruthless Bo seeks outhis fortune—in the hotel business, on new farmland, and, eventually, in illegal rum-running through the threacherous back roads of the American Northwest. Bo chases after the promise of teh American dream through Minnesota, the Dakotas, Saskatchewan, Montana, Utah and Nevada, but ultimately there is no escaping the devastating reach of teh Depression and his own ruinous fate. 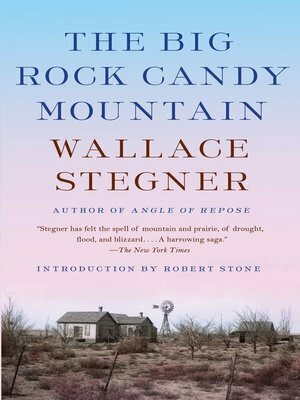 In this affecting narrative, a defining masterpiece by the "dean of Western writers" (The New York Times), Wallace Stegner portrays more than three decades in the life of the Mason family as they struggle to survivle during the lean years of the early twentieth century. With an introduction by Robert Stone.